Queensland Water Supply are dust control specialists. 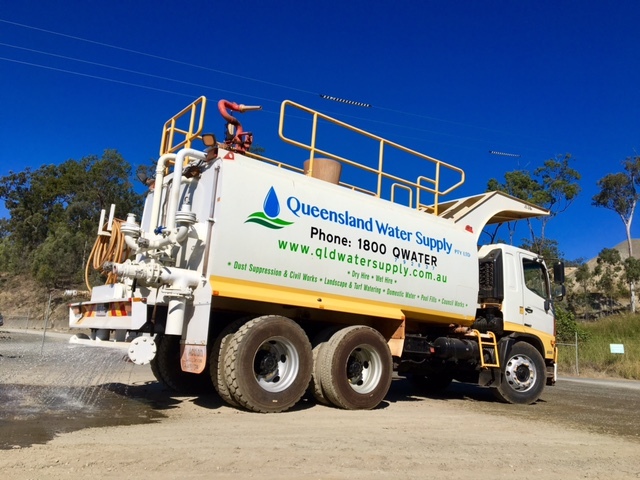 Queensland Water Supply based in Brisbane has a fleet of modern water trucks for hire. These machines are suitable for any dust suppression, water spray projects and dust control jobs. Dust suppression is important in construction, civil, landscaping and roadworks especially open environment projects such as roads or construction sites that pollute the air and spread dust. Our dust suppression solution helps customers significantly improve workplace safety, diminish wear on plant and equipment, and improve community relationships by eliminating or reducing dust in the area. Our years of experience in dust suppression and dust control, have enabled us to learn the most effective ways to utilise our water carts’ water spray and dust suppression spray features, to cover land masses and conserve water best efficiently. Through operating our water cannons, water spray and dust suppression spray technology on job sites we find that we proficiently minimise issues associated with dust control. Choosing the best dust suppression solution is simple with Queensland Water Supply’s expert advice.